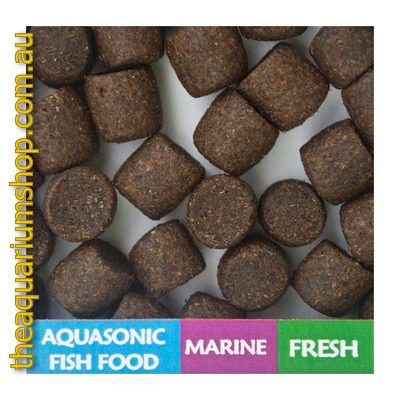 Balanced diet ideally suited for virtually all fin fish species, marine and freshwater. Highest quality ingredients, using advanced manufacturing technology. Promotes rapid and healthy growth of larvae due to the well-balance protein, fat, vitamin and mineral content. Designed to keep good shape in water for a long time therefore the polluting effect on water is minimal.